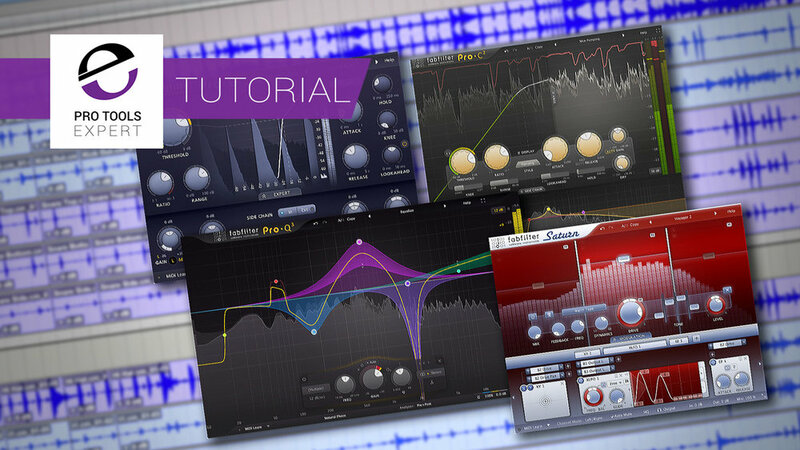 In this extended free video tutorial we show you how to mix live multitrack drums in Pro Tools using four of FabFilter’s finest plug-ins, Pro-Q3, Pro-C2, Pro-G & Saturn. Watch to learn how to mix kick drums, snares, hi hats, toms and overhead mics in the context of a busy drum mix and to learn how to use bleed to your advantage in certain situations. 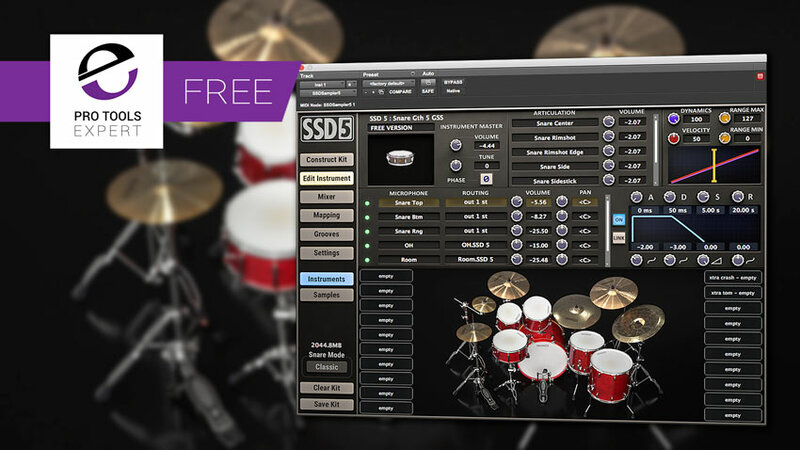 In this week's Friday Free Plug-in, we are featuring SSD5 Free From Slate Digital, a free version of SSD5, the acclaimed drum virtual instrument from Slate. Microphones on the tom shells also pick up a lot of rumble from the tom heads which is caused by the rest of the kit's resonances. This "sound" isn't to everybody's taste as it can blur the overall picture of the drums in the mix. We show you 5 ways to process your tom tracks. Because of the number of mics used to record a drum kit, it can be a challenge to make them sound punchy and in your face. The six tips outlined in this tutorial will take you a long way in your quest for better sounding drums. In this free video tutorial, Pro Tools Expert team member Julian Rodgers demonstrates how to use the DS201 trick - Using a gate to increase the attack on a kick drum. In this premium tutorial video for Pro Tools Expert, Technical Editor James Ivey shows you how to use the Side Chain input on a compressor to allow the kick drum to cut through a mix and give your finished track some pump and drive. In this tutorial video for Production Expert, Drummer James Ivey continues his drum recording tutorial with a look at room mics, what configurations to use and how they sound. In this tutorial series for Production Expert, Drummer James Ivey continues to build on his drum kit recording rig. In this video, James adds an under-snare mic and Tom Tom mics to increase control and flexibility when it comes to the mix. Audified has teamed up with Drum Workshop to produce a Drum Enhancer plug-in which is a processor designed to tweak the basic drum sounds from A to Z without the need for any other plug-in. In this video, the third in the series for Production Expert, Technical Editor James Ivey continues his drum kit recording course by adding 3 more mics to his recording set up. In part 2 of a series for Production Expert, Drummer James Ivey continues to explore recording drum kits. This time James adds a Bass Drum (Kick Drum) mic, in this case, an original AKG D12 to give the mix the recording some real bottom end thump. James then goes on to add a second overhead mic to create a stereo image of the kit. In this free tutorial for Production Expert, Pro Tools Expert Technical Editor James Ivey shows you 5 of his favorite tips for recording hand percussion like tambourine and shakers. In this free video tutorial for Production Expert, Drummer, James Ivey shows you how to record a full drum kit using only one microphone. James talks about some of the pros, cons and considerations to think about when using this technique. In this video for Pro Tools Expert, Technical Editor James Ivey starts a recording project with UK band Voltaire to record a track using nothing but Universal Audio Apollo audio interfaces. In this video for Pro Tools Expert, Technical Editor James Ivey shows you how he uses the Eiosis e2Deesser on drum overheads to control some of the top end harsh tones that can make the overall mix a little brittle sounding. In this video for Pro Tools Expert, Technical Editor James Ivey and Tom Waterman from Universal Audio demonstrate the new Distressor dynamics processor for the UAD-2 plug-in platform using a simple 2 mic drum kit recording, showing how the tone of the now legendary Empirical Labs Distressor has been faithfully captured in this stunning sounding plug-in. This episode covers Dan's drum VI workflow using Toontrack Superior Drummer 3 and the Pro Tools MIDI Editor. 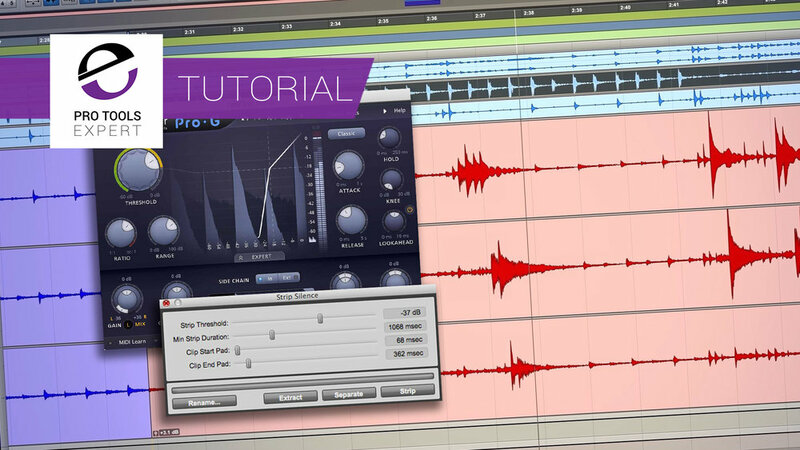 Dan shows you how he quantizes MIDI drum performances in Pro Tools to sound human. Quantizing MIDI drum hits hard to the grid can sound very robotic and unnatural, learn how to get realistic sounding MIDI grooves in Pro Tools. The Festive Season is upon us, many of us are starting to buy Christmas gift for loved ones. A friend recently contacted me asking my advice for gift ideas for their son. Their son is a student and also a very talented drummer who is keen to record his own acoustic drum kit. My friend asked me to recommend some affordable studio gear that will enable their son to record multitrack drums. My friend's son already has a modern PC and a set of studio headphones, my job was to source the rest. We recently ran a poll to find out if the Pro Tools Expert Community could tell the difference between a real live drum recording and, the same drum recording, but with the snare, kick and hi-hat elements replaced with Toontrack's Superior Drummer 3 Samples. For the test, we used the new Tracker feature. In this free tutorial, brought to you with the support of Waves, you will learn how to mix live drums using Waves CLA Drums and CLA Mix Down plug-ins. Both plug-ins combined provide a fast and effective solution for polishing and processing drum tracks in a mix. In this tutorial, you will hear each drum channel be transformed with only small amounts of processing added.